HIALEAH, Fla. - Four people were arrested Thursday morning shortly after a burglary in Hialeah, authorities said. Hialeah police Lt. Eddie Rodriguez said officers responded to a burglary in progress Thursday morning at a home in the 200 block of East 53rd Street. Rodriguez said officers arrived to find several males fleeing the scene. 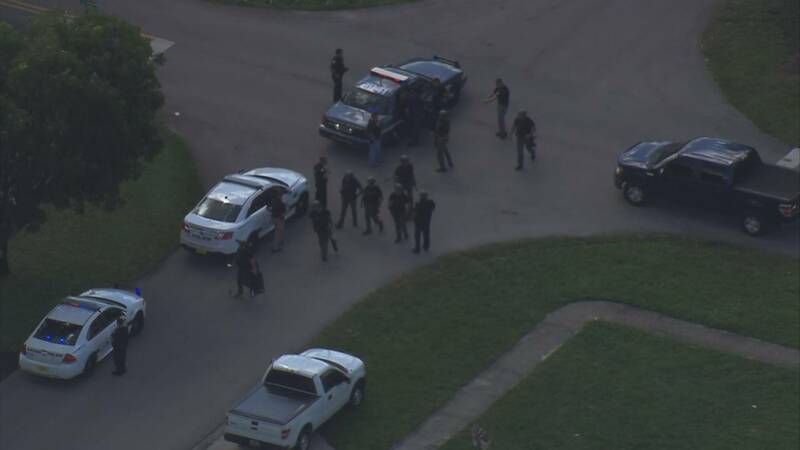 A perimeter was established and Hialeah SWAT and Hialeah K-9 units apprehended three suspects in the backyard of a nearby home, Rodriguez said. Police said another suspect was found by a K-9 hiding in the area. According to Rodriguez, the vehicle the burglars arrived at the home in had been taken in an armed carjacking in the city of Miami. The suspects were identified as Zaiqun Hyland, 17, Reginal Pierce, 35, Keith Hudge Alexander, 24, and Xavier Hyland, 22.